There are countless readily-available information sources on fine-tuning and enhancing your running style. An overwhelming amount of marketing dollars are also spent directing us towards the latest shoes that improve comfort and performance. However, one thing Dr. Google simply doesn’t tell you is how our unique foot structures and biomechanics impact both performance and choice of footwear. Getting these right is key to ensuring you can exercise freely and without injury. My FootDr podiatry centres are the preferred choice for many recreational running clubs and individual sportspeople across Australia looking to avoid common injuries like plantar fasciitis (heel pain), knee pain, lower back pain and Achilles tendonitis. 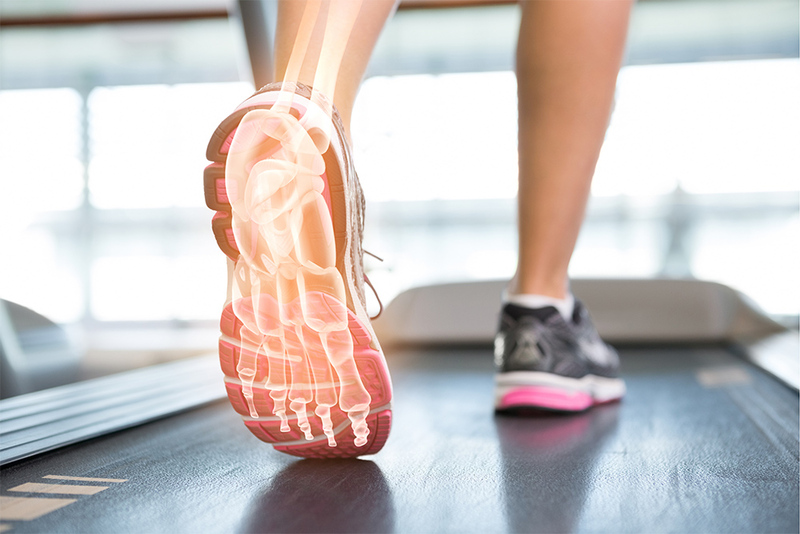 Along with taking a detailed patient history and physical assessment, our biomechanical assessments involve performing a video gait analysis and 3D foot scan. Let’s look at what is involved in these assessments. A video gait (walking) analysis is a motion analysis to assist in the diagnosis of complex motion-related pathology of the foot, ankle, knee, hip and lower back. Video gait analysis can help to diagnose conditions associated with running or sports. Our Podiatrists will film you walking and running, and explain your biomechanics using specific software. This software enables us to assess your foot in slow motion, draw angles and markers, and explain the results of your analysis. We can even break each second of the gait cycle into tiny segments, allowing detailed assessment of foot position and overall posture. A 3D foot scan provides a detailed analysis of the foot contour and an accurate indication of which areas of the foot require additional support. This procedure is commonly performed to develop custom-made orthotics that improve the alignment of your feet, and provide support and cushioning to reduce or stop foot, ankle, knee and lower back pain. It is also used in combination with the gait analysis to discover any issues and develop a treatment and management program unique to your needs. In addition, this information can help the Podiatrist to make recommendations on the perfect footwear for your foot type. Both the video gait analysis and 3D foot scan can reveal much about how your feet impact on your running style. If you think you could benefit from this information, get in touch with your local Podiatrist.